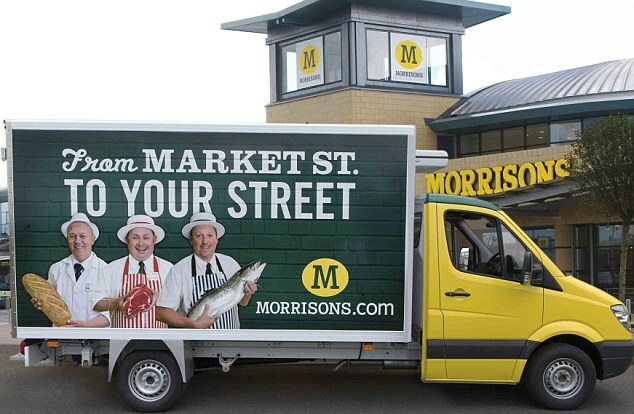 "Morrisons began expanding its online grocery service to the whole of north London on Wednesday in the struggling supermarket's latest bid to grab a share of the fast-growing online grocery market. The service is part of the supermarket chain's plan to turn around falling sales and profits by tapping into home deliveries and convenience stores as well as cutting thousands of prices to make it more competitive with discount supermarkets such as Aldi and Lidl. Morrisons finally launched its online grocery service, which operates via a partnership with specialist Ocado, in January 2014, more than a decade after most of its major rivals integrated e-commerce into their business"